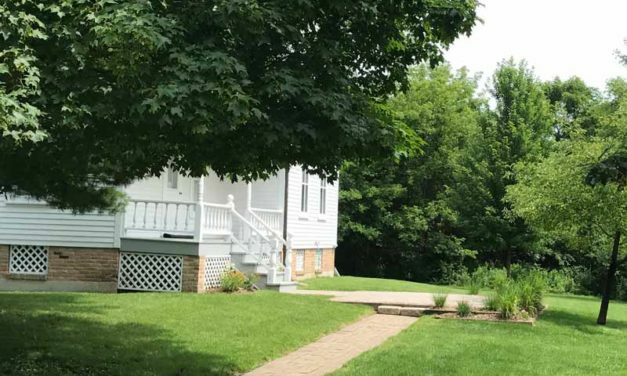 Long Grove Historical Society Board member and Vaudevillian Mike Dvorak creates a performance space. 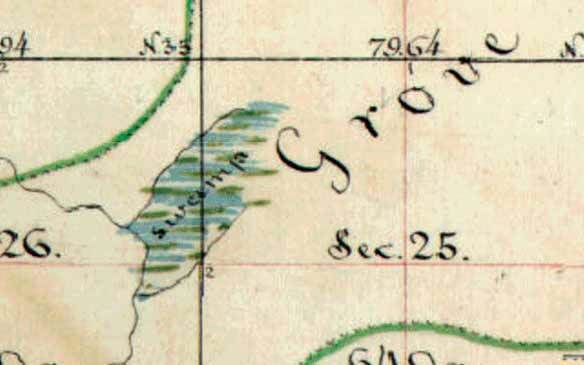 Check out the time travel image below to get a sense for what’s left of the original “Long Grove of Trees” that the Village was named for. 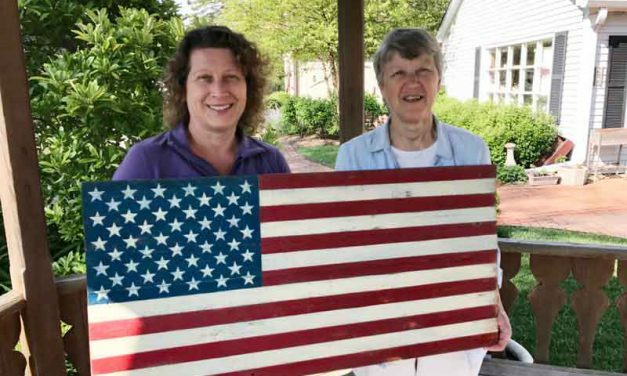 What makes my flag so special is that it did not come from reclaimed barn wood, but instead, from wood that was once part of our Long Grove covered bridge! 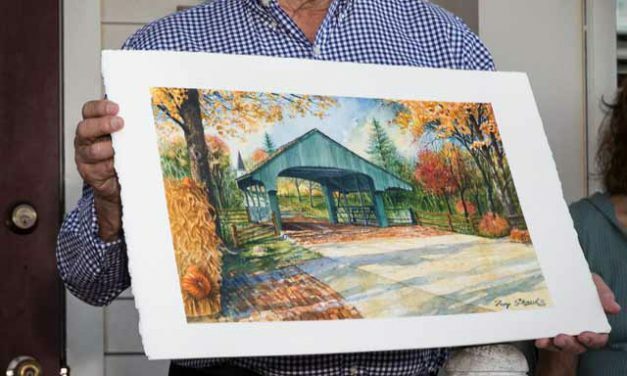 Fancy a gorgeous original water color of our historic covered bridge hanging in your living room? With a little luck and a small investment in some raffle tickets it can happen!